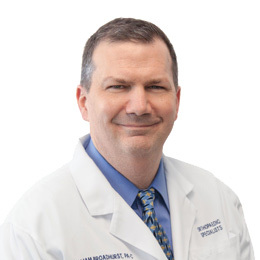 William Broadhurst, PA-C joined Orthopaedic Specialists of Connecticut in 2009. He graduated from Western Connecticut State University in 1999 and received a degree in Physician Assistant Studies from the State University of New York at Stony Brook. William has worked as a Physician Assistant in Physical Medicine and Rehabilitation at Danbury Hospital. He has also worked for the Center for Advanced Orthopedics and Sports Medicine. He is a member of the American Academy of Physician Assistants (AAPA).